In order to realize more and more complex functions with decreasing energy consumption, closed-loop systems are increasingly used in stationary and mobile hydraulic applications. 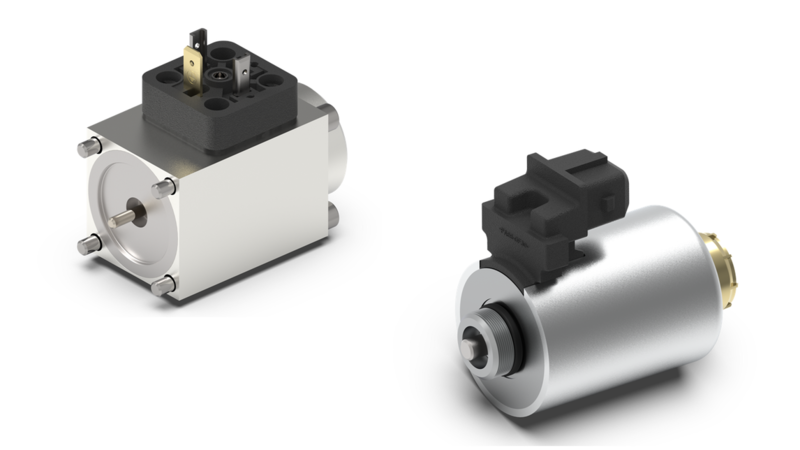 The ETO GRUPPE offers various proportional solenoids with round and square design corresponding to CETOP-sizes 2 to 5 (NG4, NG6, NG10). Even with very small hysteresis the proportional solenoid fulfills high pressure requirements up to 350 bar. Depending on specifications and the control quality requested appropriate bearings are used. In accordance with our customers the force-stroke-curve is optimally adjusted to the valve characteristics. The wide range of connectors and surface coatings allows providing the appropriate ETO-proportional solenoid with attractive high-cycle fatigue properties for almost all environments. Our proportional solenoids can be optionally equipped with our position switch or LVDT in order to monitor the safety-related hydraulic functions.